Ahead of the 2018 Tokyo Game Show, Square Enix has released another trailer for Kingdom Hearts 3. The trailer showcases several of the new worlds, like the Tangled and Monsters Inc. worlds, but what you’ll ultimately see most of is San Fransokyo, the setting of Big Hero 6. 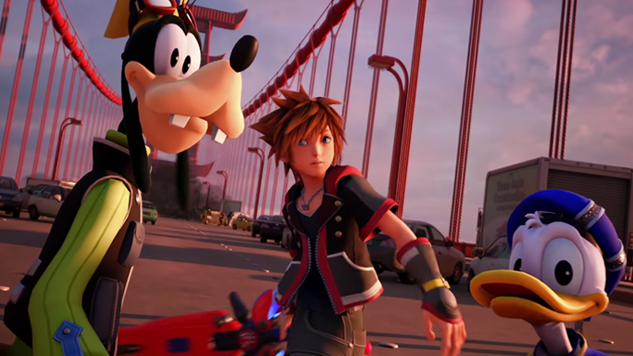 The trailer (especially Baymax, of course) is adorable, and paired with Utada Hikaru’s beautiful song “Chikai” playing in the background, Kingdom Hearts fans are sure to get excited all over again. Kingdom Hearts 3 will release on Jan. 29, 2019. By then, it will have been 13 years since the last mainline entry in the series. Kingdom Hearts 3 will mark the end to the “Xehanort saga,” and will release on PlayStation 4 and Xbox One. Watch the trailer below.